The NCAA has just outlawed “two-a-days” in pre-season football practice and next, they will probably outlaw any physical contact to complete the sissyfication of the last bastion of masculinity and toughness in American education: football. The NCAA does this all in the name of safety to eliminate debate because any coach that argues against these sissy rules is a barbarian and doesn’t care about his players. So the game gets softer and becomes more like the globalist civilized game: soccer. The concussion scare is another example of the NCAA “chicken little leadership” — that playing football will cause young men to become deranged criminals. This has produced fear among the mini-van soccer moms that now forbid their boys to don a helmet and learn all the values that only football can teach. Football is the one sport that if you’re not the tallest, the fastest, or most athletic, you can still find a role on a team. Being a part of a team is a lesson that is sorely missing in today’s education. I served on the NCAA rules committee for four years. 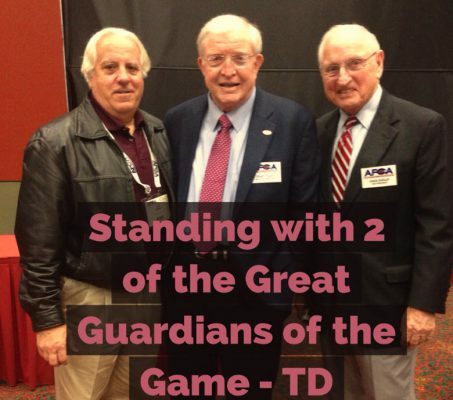 The chairman of the committee was the great Vince Dooley, who was a true guardian of the game. There was always a sense that football, despite its enormous popularity and the values it taught, was a target of misguided bureaucrats. The attack would always come disguised as “player safety” thus creating a “no-debate issue” While I was on the committee we passed the overtime rule and the sportsmanship rule. The sportsmanship rule restored sanity to college football by eliminating excessive celebration & taunting an opponent. Fast forward 20 years and rules about practice are being imposed with the idea that a coach is the enemy and needs to be controlled. That some administrator cares more about a player they have never met than a coach who sees him every day, knows his family and has personally recruited him. The self-righteous hypocrisy is knee deep. Two-a-day preseason practice is a “rite of passage” for a college football player, something not everyone can do. Something Joe Fratboy could not endure, hence it created a pound of special people who were tougher than the guy craving a “safe place” and hot cocoa because a speaker was on campus that said something he disagreed with. The elimination of two-a-days started with the 1-2-1 type of schedule that was pushed on coaches to safeguard players from evil coaches. News Flash! Coaches care about their players. They are not the bad guys. Coaches don’t need a bureaucrat to tell him how often to hit or how often to tackle – they know! I’m all for player safety and any player that played for me in my 25 years as a head coach would tell you that. My mantra was “When in doubt keep him out.” I always listened to the trainer and even had a rule that if a player couldn’t practice by Wednesday he was out for the week. But I also believed that practice was essential and player development was our strength. By reducing the number of times a team could practice, the NCAA made it much more difficult for a “have-not” to climb the mountain. Why? Because the haves will get the most talented players. The have-nots will rely on their players work ethic to catch up. The hard-nosed player that will out work is now being denied that opportunity. If the NCAA eliminated all practice and you could only play games, who would win? Obviously, the team with the best athletes. Work ethic, a great value that is learned by playing football, is lost. We have become a society that doesn’t value work ethic and actually looks down on it. We are becoming a society where safety is a religion. Kids have to wear helmets while riding bicycles even though I’ve never met anyone who has ever suffered a head injury riding a bike. Next, kids will have to wear a helmet on the school bus. Overcoming fear is a lesson that is important to the growth of a child but some parents try to shield their children from fear rather than teaching them to face it. 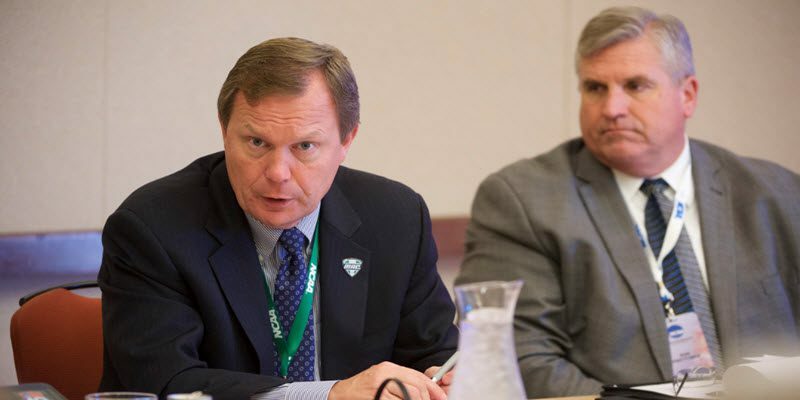 The NCAA isn’t too concerned about meaningless bowl games because of dollars. Nor are they too concerned about creating and possibly expanding the college football play-offs because of massive dollars but there are no dollars in practice so that is the area of concern. Two-a-days produce the same esprit de corps that is completely foreign to the administrators that eliminated them. 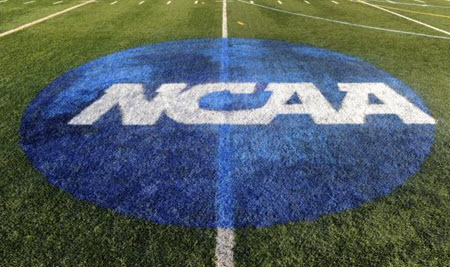 Like every other institution that gets too big, the NCAA has outgrown its usefulness.